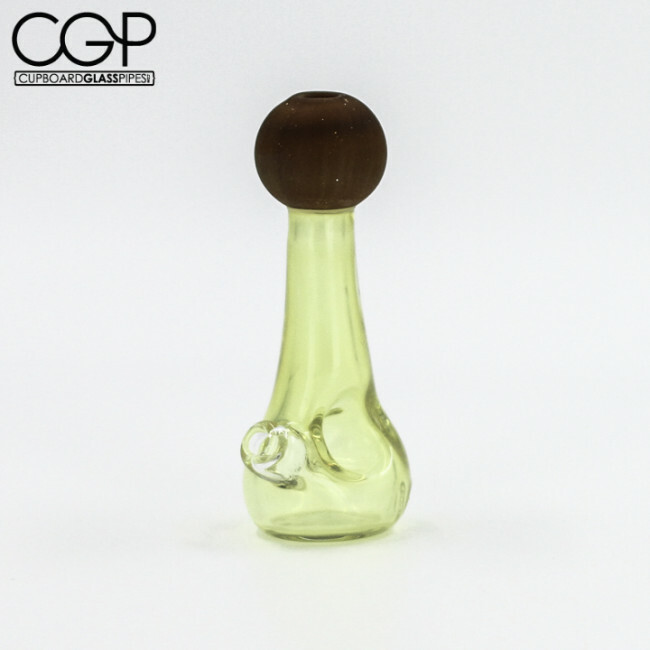 This Chad G mushroom hand pipe stands at about 3 1/2 inches tall. 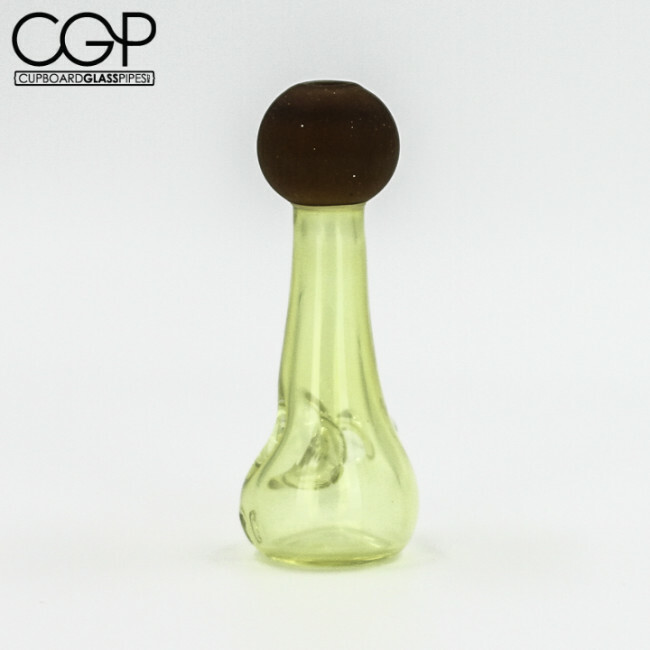 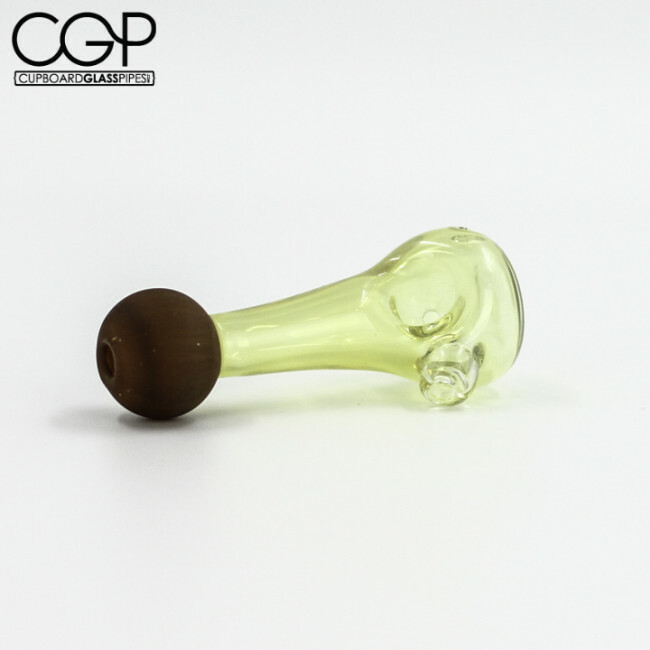 With the fumed glass and the mushroom shape, this piece is sure to be a fun-gi. Size/weight may vary, no two are the same.